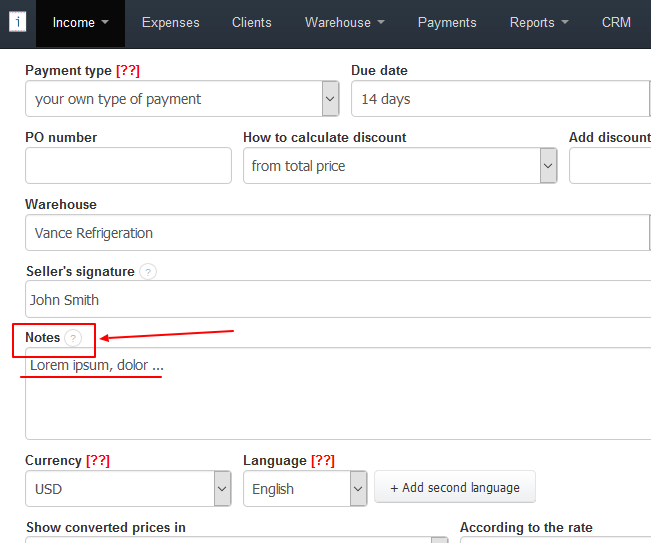 InvoiceOcean allows you to search throughout all of your invoices (Income > Invoice). 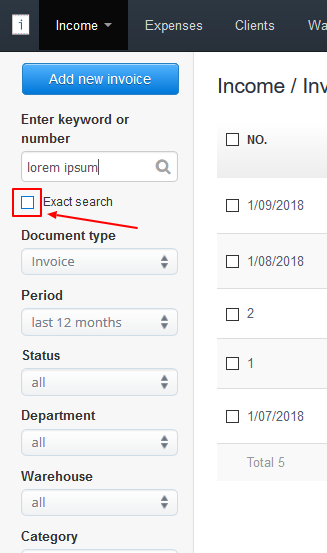 You may narrow any search using i.e. 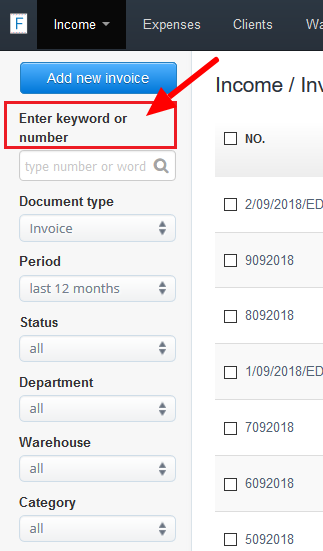 the ‘Enter keyword or number’ field. Gross/net price of the invoice.